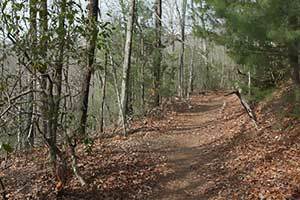 An easy to moderate double loop with a few steep climbs, Raven Rock trail is a great getaway provided you have a little bit of hiking legs on you. 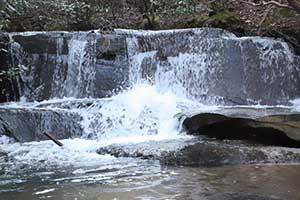 At just over 30 miles outside of Greenville, this hike offers lake views, large rock formations, and a beautiful creek. Directly off SC 11, the trailhead is behind the park office immediately to the right after turning off the highway. There is no fee for the small double parking lot, but there is a donation box for those that wish to give back. The park office is open very limited hours, daily from 11am-12pm and 4pm-5pm. There is a vending machine near the trailhead, but that’s it. There are restrooms in the office, but if closed, travel further into the park for more available public restrooms. 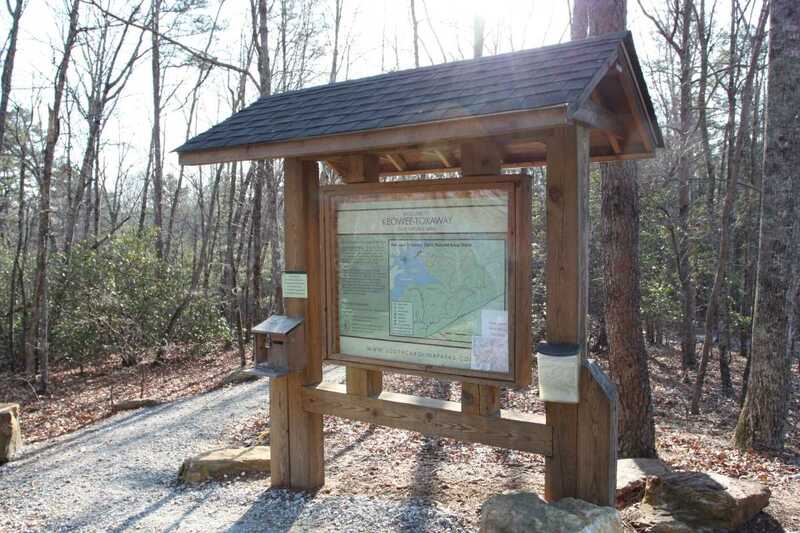 The trails were significantly rerouted during 2012 and an updated map is posted at the trailhead. There is also a box with paper maps for the taking. 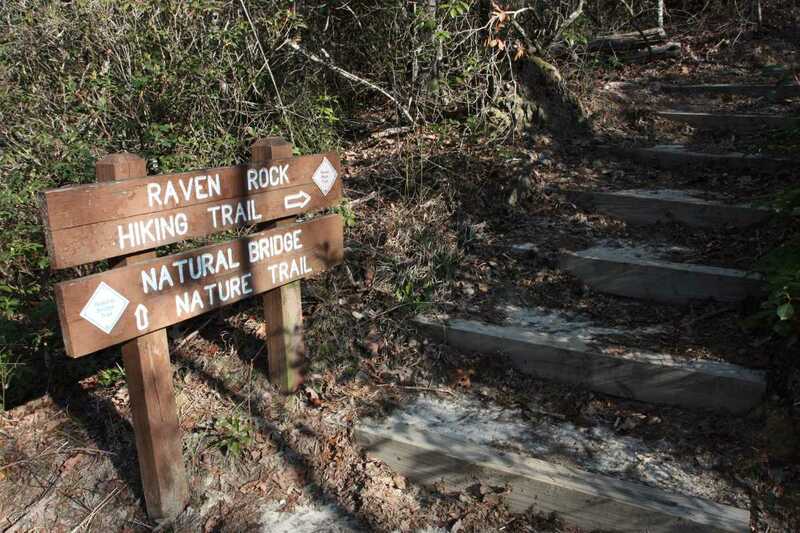 There is no direct access to the Raven Rock trail, so you need to hike the Natural Bridge Loop trail to connect with the Raven Rock loop. The hike begins rather level until it comes to an intersection which forms the Natural Bridge loop. Continue to the right, heading around both loops counter-clockwise. This will follow the directions of the arrows, although travelling against the arrows is fine as well. 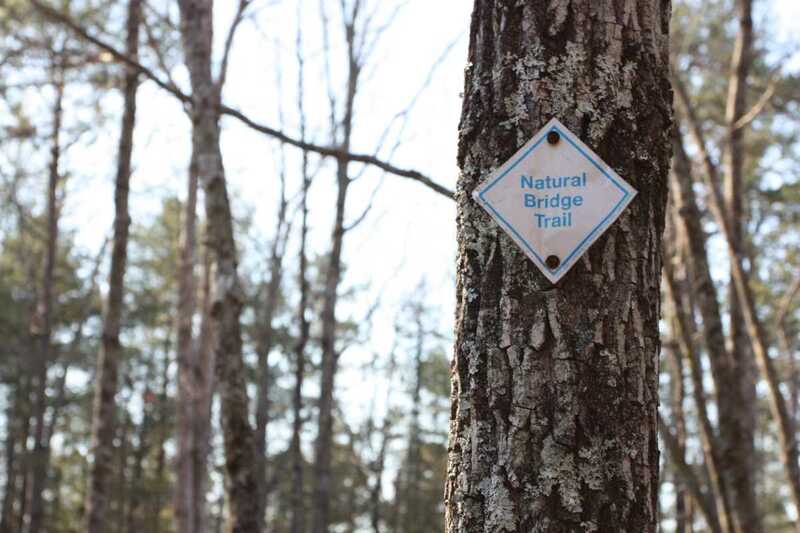 Combined with trail markers and other posted signs, you should never get lost on these trails. 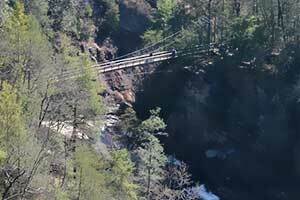 The path drops down to its first crossing with Poe creek. 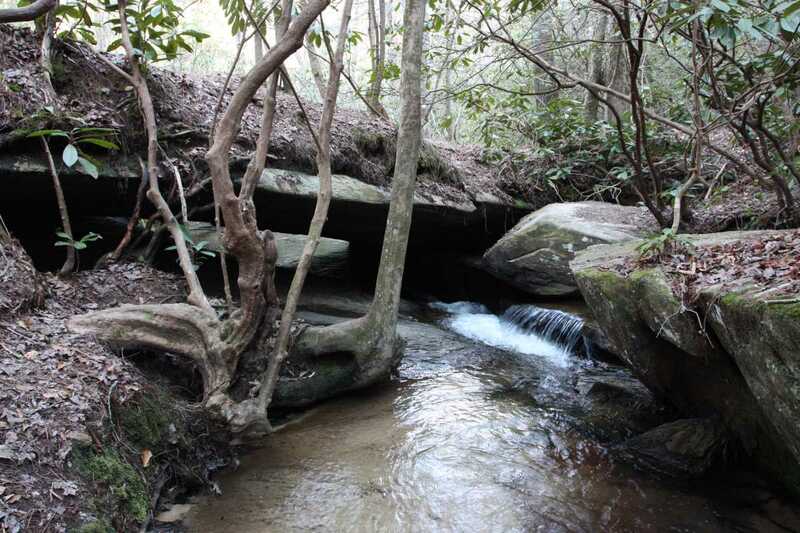 Here a wonderful natural rock bridge has been formed over the creek. 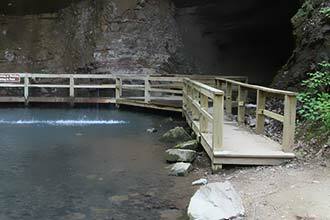 Explore around to the right of the trail before crossing the creek to get a good view of the water flowing below the rock. 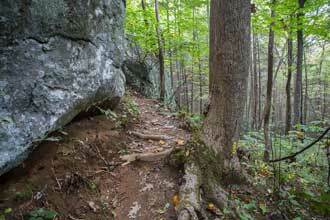 Shortly after this the trail comes to the intersection with the Raven Rock trail. 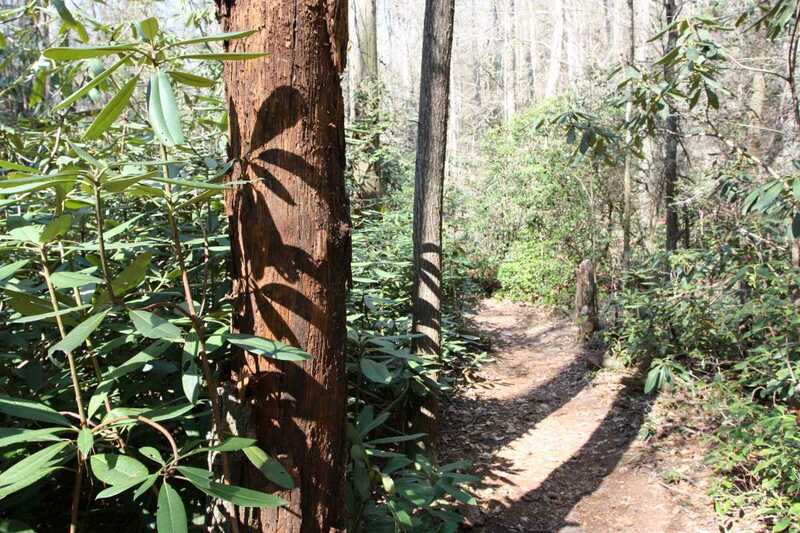 At this junction, look back to the left for a short side trail that heads down to the creek and a small waterfall, sometimes referred to as Keowee Falls. 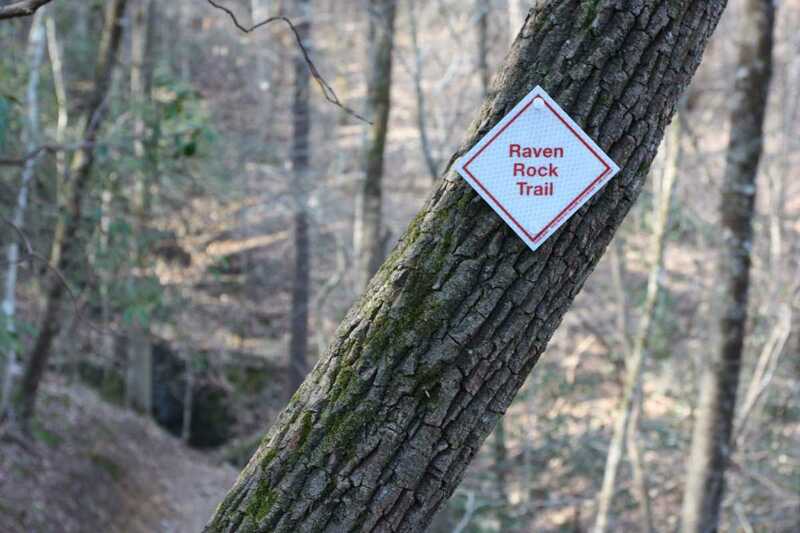 Take the Raven Rock trail. This section forms a connector trail between the two loops, so you will be backtracking this on the way out. 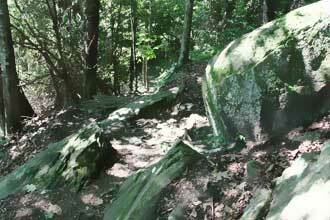 Several large and impressive boulders and rock outcroppings litter this section of the hike. 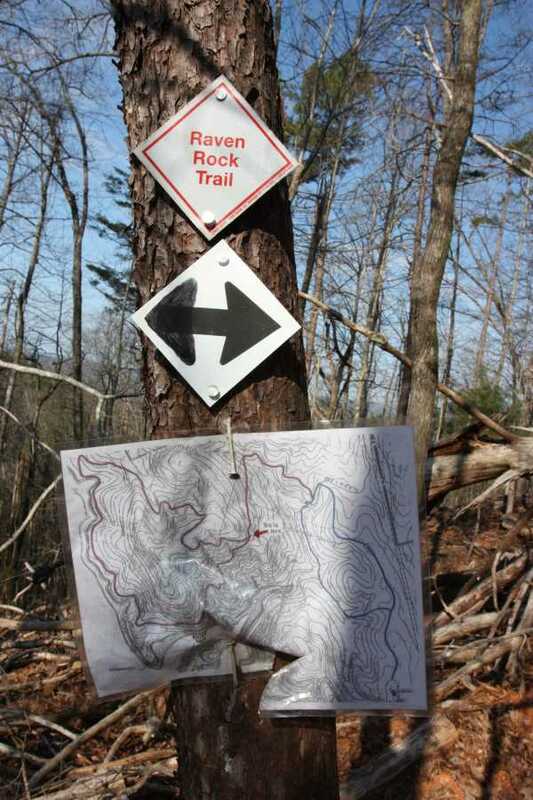 At 1.3 miles you will come to the intersection that forms the Raven Rock loop. 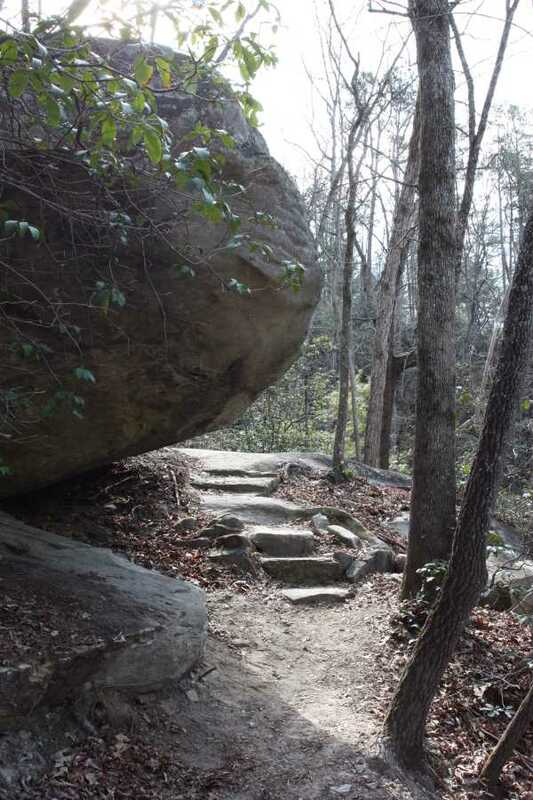 Head to the right and continue hiking uphill for a short while before descending to Lake Keowee. For the next .6 miles, the trail sticks to the lakefront with several good views. 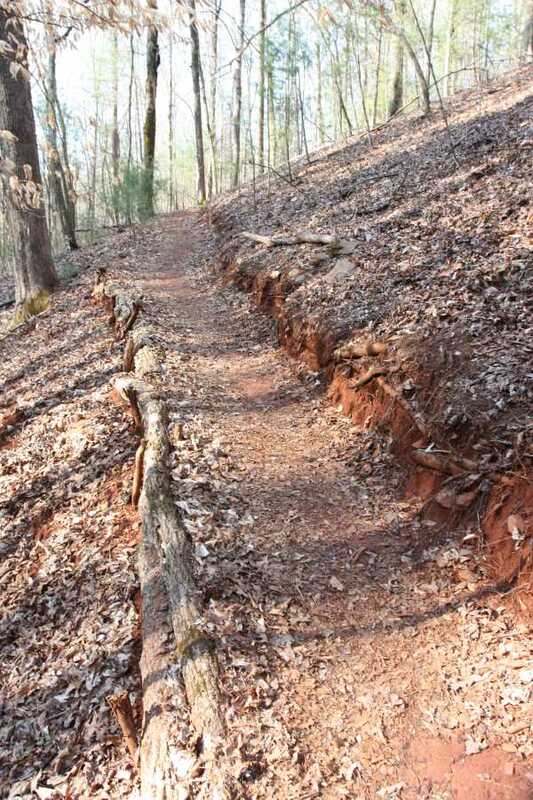 This section is relatively flat and gives you a chance to catch your breath before the hike out. Just before beginning the ascent away from the lake, a well marked side trail leads to several campsites. 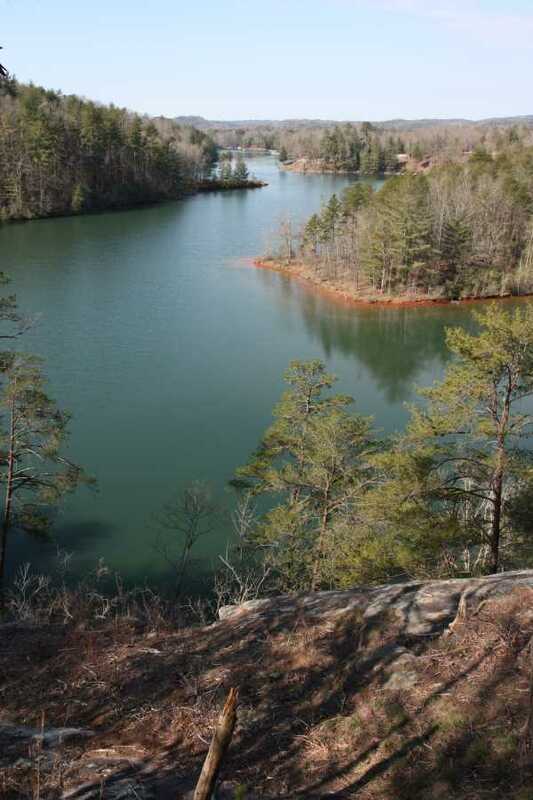 On the way up, Raven Rock, an exposed rock outcropping, grants an excellent view of the lake. Return back along the connector trail to the junction with the Natural Bridge loop trail. Keep to the right to complete this loop. The path quickly drops back down to the creek for its second crossing. This time, an easy rock hop will get your across. 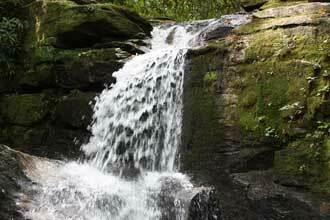 Be sure to check out the small cascades upstream. The most difficult climb for this double loop is at the end, from the second creek crossing back to the first intersection. 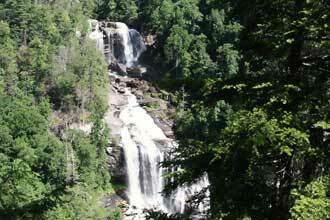 Over just .2 miles, you will hike up 200 feet, which is a rate of 1000 ft/mile. 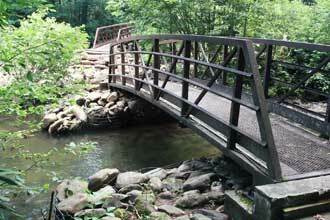 Once back at the intersection, make the last short leg of the Natural Bridge trail to finish out the trip. Immediately after turning off of SC11, take the first right. The trailhead is behind the park office at the higher parking lot. The park office is only open from 11am-12pm and 4pm-5pm daily. 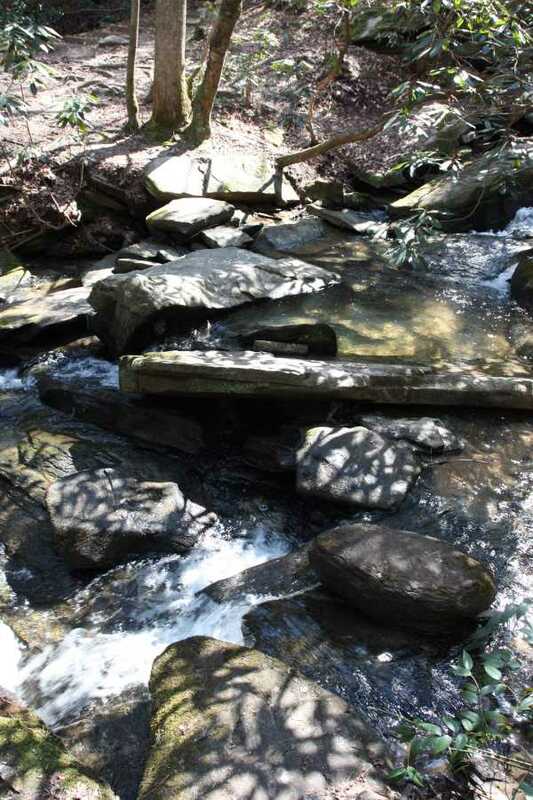 Always take caution on wet or slick rocks while crossing the creek. 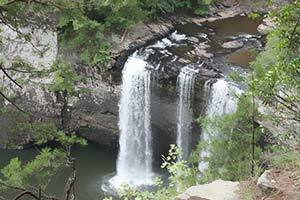 Raven Rock outcropping has a steep drop off so watch children and pets. 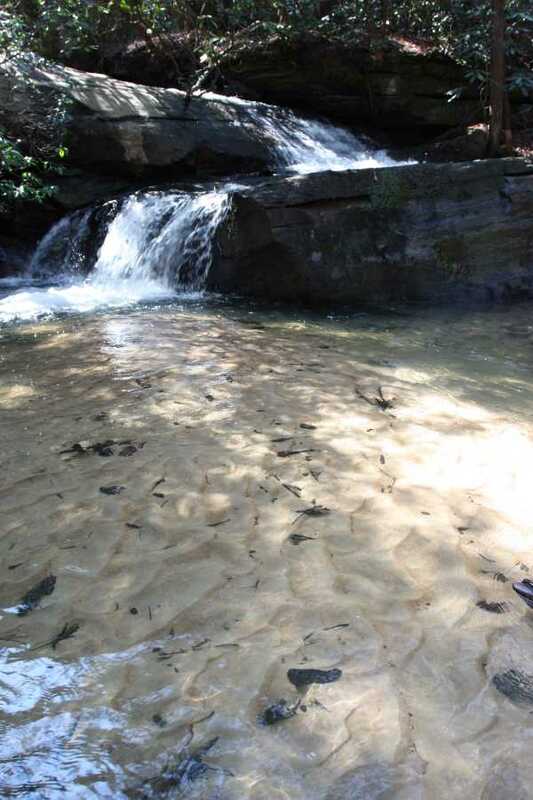 This is a really nice hike that has creek crossings, small cascades, lakeside views, and large boulders along with enough difficulty to keep it interesting for more experienced hikers but not too formidable for trail newbies.